After fence sitting with Kerry saying he was open to resolution, State Department says it 'can't support' demand for Israeli withdrawals. The United States finally stated on Thursday that it will not support the Palestinian Authority (PA) resolution submitted to the UN Security Council on Wednesday, which demands that Israel withdraw from Judea, Samaria and eastern Jerusalem by 2017. Washington has seen the text of the draft resolution and "it is not something that we would support," US State Department spokeswoman Jen Psaki said, reports AFP. "We think others feel the same and we are calling for further consultations. The Palestinians understand that." Aside from the 2017 deadline, the resolution, which was presented by Jordan, sets a 12-month deadline for "peace" negotiations. "We wouldn't support any action that would prejudge the outcome of the negotiations or would set a specific deadline for withdrawal of security forces," Psaki said. While the US has often supported UN resolutions on Israel in the past, Psaki said "obviously the content is important." "We've been clear about what our principles are, and the fact that we could support certain forms of resolution, but those discussions are private," Psaki added. While the US has historically opposed such unilateral moves, its response has been less than clear up till now. 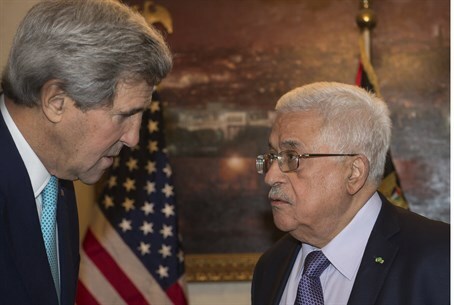 US Secretary of State John Kerry reportedly on Tuesday finally promised to use the veto. However, on Wednesday, he said "we don't have any problem with them filing some resolution, providing it's done in the spirit of working with people to see how we could proceed forward in a thoughtful way that solves the problem, doesn't make it worse." A UN Security Council diplomat on Thursday said the US opposes unilateral moves, but left open the possibility that the US would get behind it if it was redrafted. "There is not the basis for consensus on the text as drafted and that is why we need to do some work," the diplomat told AFP. "The issue now is how do we get something that really does command consensus. The objective that we have is to achieve consensus, which means we want to have a text that everybody can agree." Prime Minister Binyamin Netanyahu responded on Thursday, saying Palestinian Authority (PA) Chairman Mahmoud Abbas "thinks he can threaten us with unilateral steps. He does not understand that they will result in a Hamas takeover in Judea and Samaria, just as previously occurred in Gaza." "We will not allow this to happen. We will never agree to unilateral diktat. We will always safeguard our security. This is our lesson both from the days of the Maccabees and in our day," he continued. As mentioned by Netanyahu, Hamas expelled the PA in 2007 when it rose to power; Hamas already tried to stage a coup against the PA in Judea and Samaria earlier this year which was foiled by the IDF.